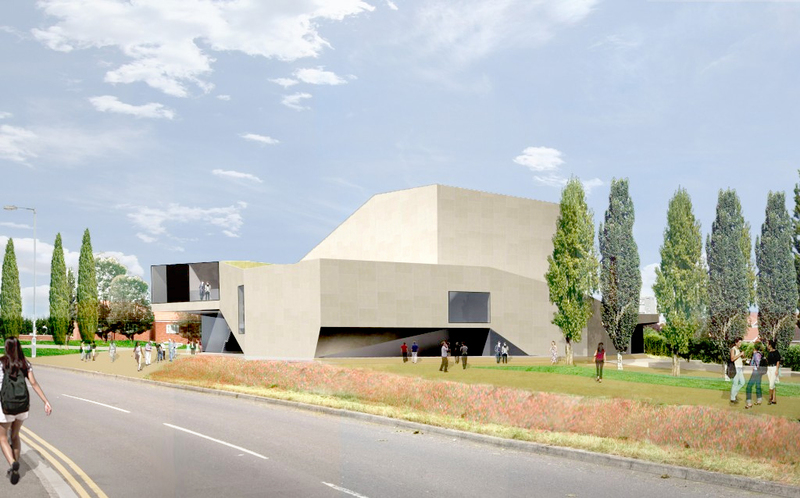 Alison Brooks Architects competition proposal for a 2,500m² Performing Arts Centre for Bridgwater college aimed to create a memorable building which was connected with the history of the town but also pointed to an exciting future. 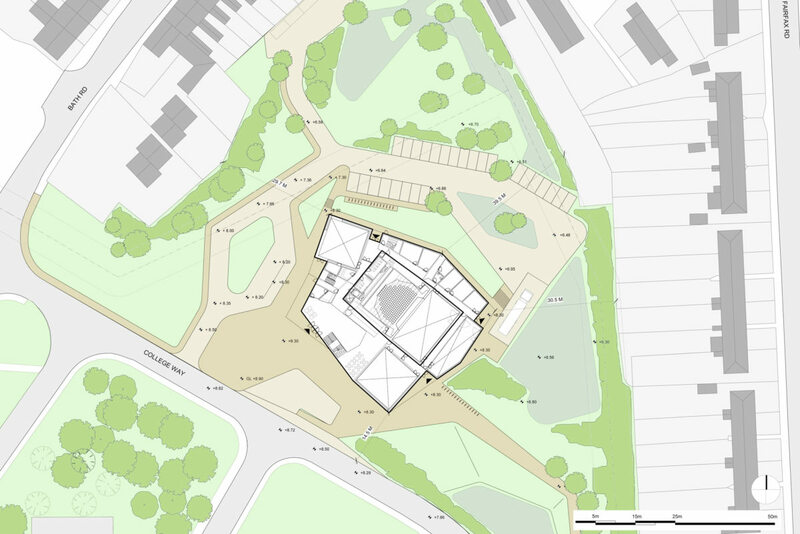 Like the castle that once stood at the centre of Bridgwater, surrounded by a moat, ABA’s proposal is raised above the landscape so that it rests cleanly upon a new plinth or plateau, which helps to mitigate the building’s floodplain location. 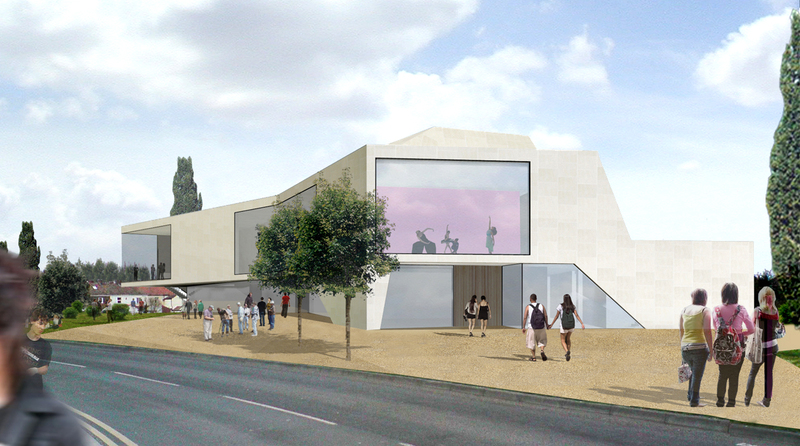 From its elevated foyer the building becomes a viewing platform  a vantage point and beacon in the landscape. By gently sloping the ground around the building up to the foyer space, the building gains a dramatic forecourt, oriented southwest. This surface, sloped to be fully accessible, would be a perfect gathering place for students to lounge, an informal performance space, and a ceremonial space for public events. 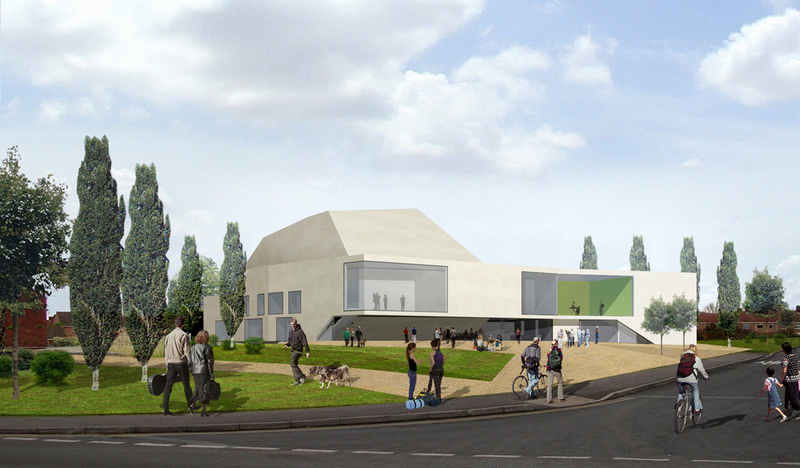 This building should be refreshing, airy and spacious  a stimulating environment for learning and for socialising. 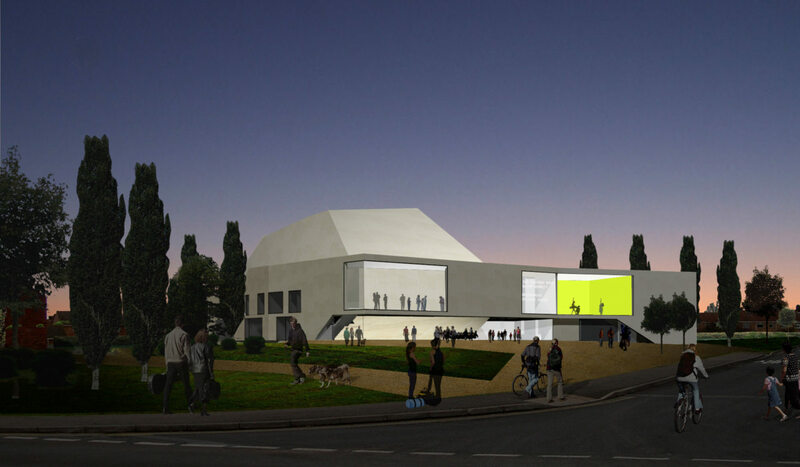 With the auditorium as its heart, it should also be a sophisticated public space for the community that appears open and welcoming. By making the teaching blocks readable as objects within an open, organic plan, the building can be corridor free. 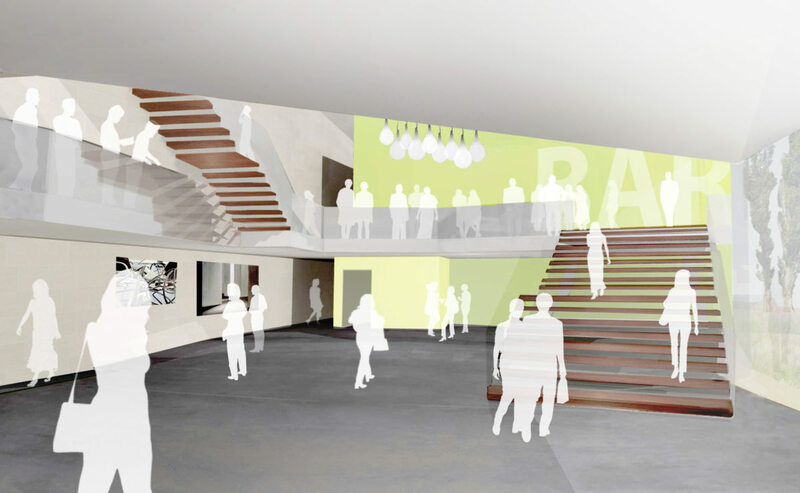 The double height foyer space will serve as a vibrant student hub as a public gathering place.